Enjoy the Great Outdoors Without the Bother of Insects Installing a new screen room allows homeowners to spend time outside without the worry of mosquitoes or sandflies. At Armor Building Solutions, we want to help you enjoy the very best that nature has to offer without having the worst of nature bothering you. We proudly offer premium Carolina screen rooms that are the hassle-free solution to transform your outdoor areas. 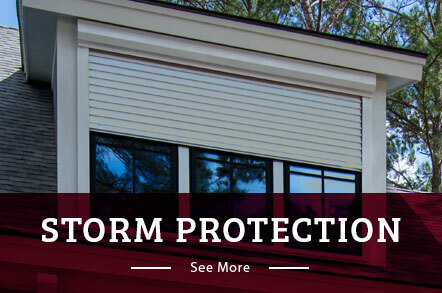 Our screen rooms make it easy to install a protective barrier around your deck, porch or living space. Unlike windows and walls, our screen rooms are cost-effective yet high-quality and incredibly durable. Save your outdoor lifestyle from pesky insects and still enjoy the nature that surrounds you with the help of our South Carolina screen room company. Maximize your summer living space, entertainment area and property value with our Carolina screen enclosures. Made from the highest-quality materials and custom-built with your needs in mind, our products go above and beyond the standards of the industry. Deck Enclosures – Get the best of both worlds with a deck enclosure that keeps you and your family safe during the warmest months of the year. Screened-In Porch – A screened-in porch gives you the protection from insects that you need so you can make the most of the outdoors. Retractable Screens – With the touch of a button, our retractable screens invite warm sunlight and fresh air into your open spaces. Custom Screen Rooms – Our custom screen rooms are designed to perfectly accommodate your unique household needs and budget. Are you enclosing a porch or screening a deck? Look no further for screen enclosures than the experts at Armor Building Solutions. Since 1996, our experts have gone the extra mile to create streamlined and stress-free solutions for the comfort of our customers. Screen porch installation from our dedicated crew of pros takes little time, but will last you decades. We proudly serve Myrtle Beach, Charleston and the surrounding areas in South Carolina. Call us or fill out our online form to request your free, no-obligation estimate.